Maggie Mellon, Director of children and family services, Children 1st. What was your first job? I was a Saturday girl in Woolworths. We got paid half a crown an hour. What does your current role involve? I manage a range of services for children and families across Scotland. The number of services that we run has increased dramatically over the past two years. They now total 34. Roughly outline your career path. 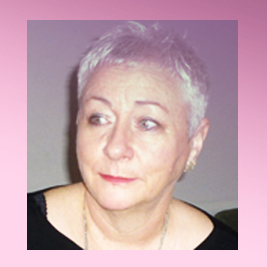 I qualified as a social worker in 1977 and worked for seven years in Edinburgh, doing a very broad range of work covering child and family, mental health, criminal justice, older people and disability. I then worked for the London Borough of Haringey in various posts in social care, mostly as a manager. I went back to Scotland in 1994, working mainly in policy and planning for Edinburgh Council and for Cosla, a representative body for Scottish local authorities. I was later appointed head of policy at NCH in Scotland and joined Children 1st as director of children and family services in May. What training has most enhanced your career? Studying for an MSc in public sector management. It enhanced my capacity in a range of areas, both academically and professionally. It gave me an opportunity to consider my experience to date and to develop research and writing skills that had been put on hold. What has been your greatest career achievement? Staying really interested in what I am doing and never having a dull moment. What is your advice to people starting out in this sector? Believe in yourself and always try to live up to your own best values and standards, but believe most of all in the ability of the people you are working for to be heroes in their own lives. Are there any charities you support financially, or with time? Save the Children and Amnesty, respectively for their work with children and for human rights worldwide. ‹ Women for Justice, Justice for Women!